At the forefont of the this season's movement towards chunkier silhouettes the Adidas Yung-96 pays homage to the the 90's trend for Chunky soles in a colourway that looks set to be high in demand over the coming months. Beefed up with retro aesthetic the Yung-96 boasts a mesh upper with nubuck and faux suede overlays whilst the model utilises a Torsion X system for added support. 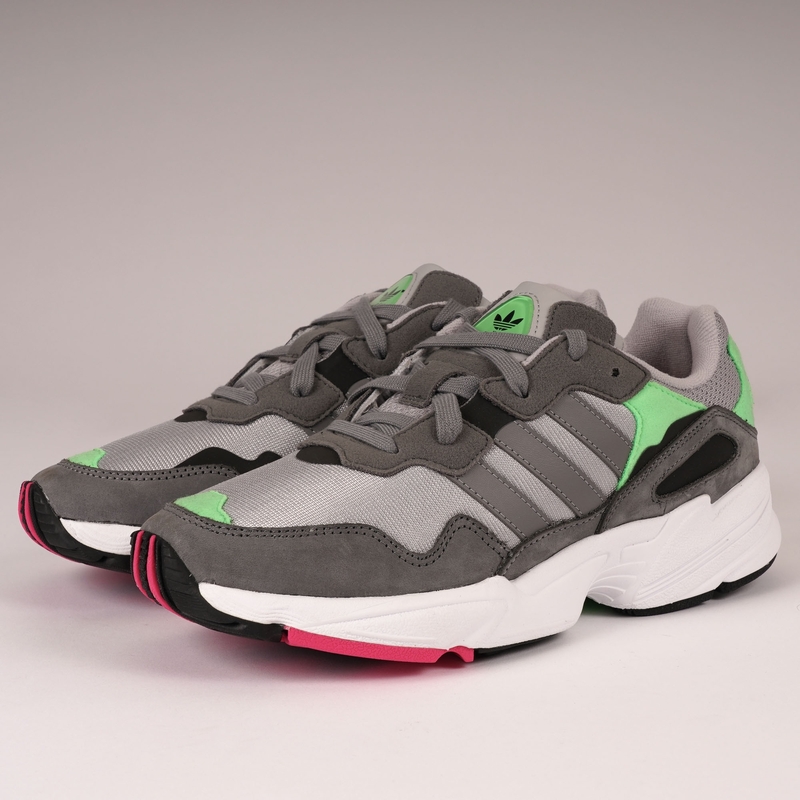 With Trefoil branding to the tongue and synthetic 3-stripes adoring both lateral and medial sidewalls rounding off this bold silhouette with pops of green throughout, wear as a central piece to your everyday look over the coming months.